Spring’s flowering forth is miraculous. But for some, it comes with a cost: sneezing, sniffles, and other symptoms of allergic rhinitis, also known as seasonal allergies or hay fever. Averting these woes altogether may not be possible, but preventive measures can moderate the body’s overactive inflammatory response. 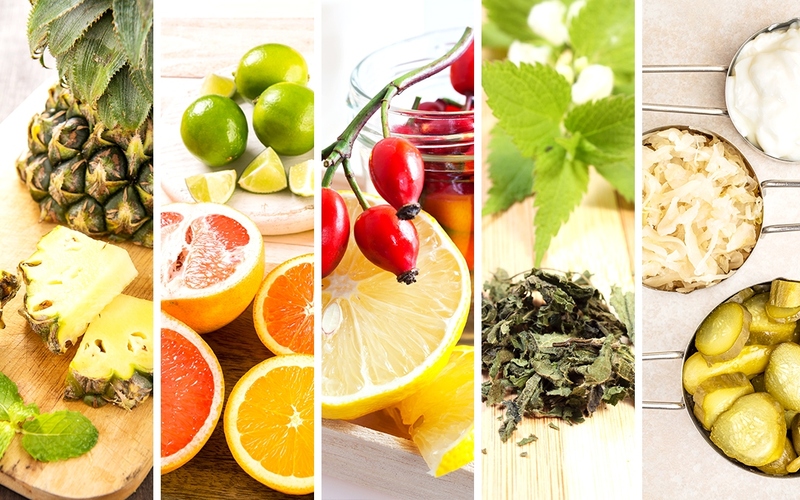 Effective natural strategies include rinsing nasal passages with a xylitol-based spray or neti pot, using a HEPA air filter, enjoying local honey (which contains tiny amounts of local pollen that act as a vaccine), eating an anti-inflammatory diet (garlic, salmon, oranges, apples), and sipping allergy-relief teas with soothing ingredients such as licorice, rosehips, or nettle. A handful of supplements, listed here in order of likely benefit, also can lessen suffering. Start taking them several weeks early for the greatest impact. Bromelain. A pineapple derivative, this anti-inflammatory enzyme soothes mucous membranes, the respiratory system’s front line of defense. In a German study, children with acute sinusitis who took the enzyme plus standard treatment recovered significantly faster than those getting standard treatment only. Bromelain also relieves allergic rhinitis–induced aches, according to herbalist Earl Mindell, PhD. Because the enzyme interferes with some medications, such as blood thinners, check with your doctor before taking. Look for a supplement with a gelatin digesting unit (GDU) rating of 2,500 or higher. It’s most effective when taken on an empty stomach along with quercetin and a buffered form of vitamin C. Dose: 600–1,000 mg daily.